I can't yet tell you anything about it, except that it's a rather odd thing for me, and I'm rather excited about it. I'm pretty sure you'll know it when you see it, but I'll definitely remind you that it was what I was talking about when I wrote this entry. Marilyn Monroe, Norma Jean, and this fine Bernie Taupin/Elton John song about her. She's still running around in a lot of our unconsciousness. What will I be trying to watch on May 25? Why, the Red Nose Day, Actually broadcast, of course. I know it's just a 10-minute film and likely to have all the depth of any cast reunion, but it's from Richard Curtis, and it's about Love Actually, so I'm unreasonably excited about it. Of course, if I were back in London, I could watch it on BBC One tomorrow, but I'm not, so I can't. Lucky Brits! 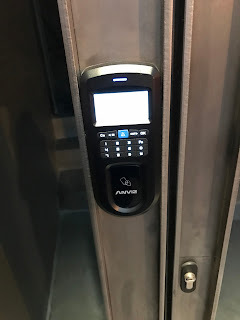 In an earlier post, I mentioned that I had eaten a wonderful, world-class dinner in Barcelona, and I promised to tell you more about it. I'm writing now to fulfill that promise. The meal was at Enigma, a new restaurant from Alber Adria (with some input from his brother, the famed Ferran Adria, ex of El Bulli). Though Adria's name is on the restaurant, its lead chef, Oliver Pena, and his team do the cooking, and they do it extraordinarily well. As the name suggests, Adria's concept is to lead you from one mystery to another. For example, they call each of the multiple separate dining rooms an enigma, and you move among them in the course of your meal. To help with the illusion, they ask that guests not reveal the menu or show any photos of the food, so I cannot do either. on which you have to enter a special code, which varies from person to person and which they supply only when you've paid your reservation's deposit. The many, many courses are all remarkable, each one a blend of largely local ingredients and the sort of modernist cuisine cooking techniques for which El Bulli was justly famous. 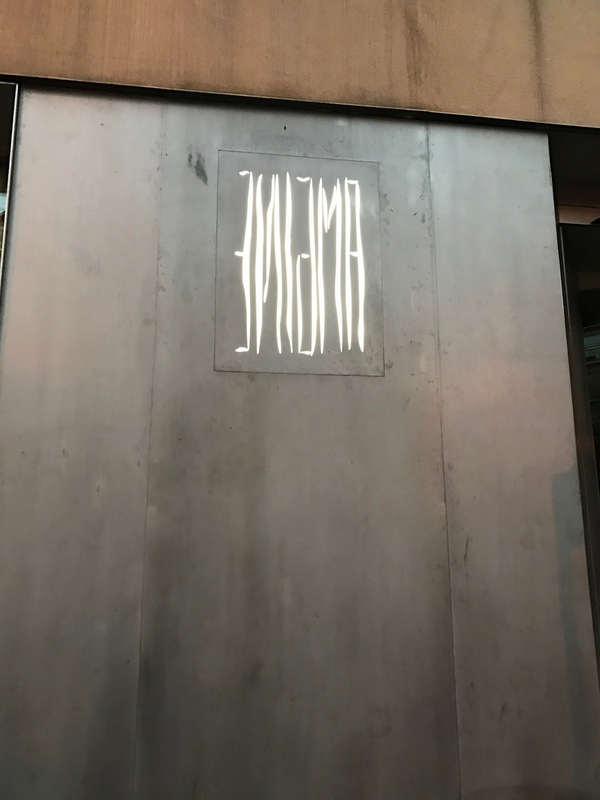 I can't say more without violating my agreement with the folks there, so let me just suggest that if you are ever in Barcelona and can get into Enigma--it's perpetually sold out, and I ate there only by being on the waiting list--you should. It is a wonderful, delicious experience. are two of my favorite sounds. Earlier tonight, I had the privilege of enjoying both, and for the short time they lasted, they were wonderful. Thanks to the intertubes, you can have your own, should you feel in the mood. Not as good as the real thing, but on a decent set of speakers, not bad. Yesterday, a man I thought of as a legend passed away. I never met him, but from the first time I saw his work in comic books, I admired him and looked for his art. I loved his Swamp Thing, and his illustrations for Mary Shelley's Frankenstein were amazing creations. Wrightson worked in all sorts of commercial art, but no matter what he did, his illustrations stood out. Tinged with horror and with amazing line work, each Wrightson piece rewarded closer inspection. I am glad to have been able to enjoy his work, and I am sorry there will be no more of it. is the title of a new song that my friend Aaron (on the left) wrote and my friend (and son-in-law) Ben (on the right) sang. You can listen to it here. It's also my privilege to get to work with these guys.